There’s really valuable history to be found on the internet! 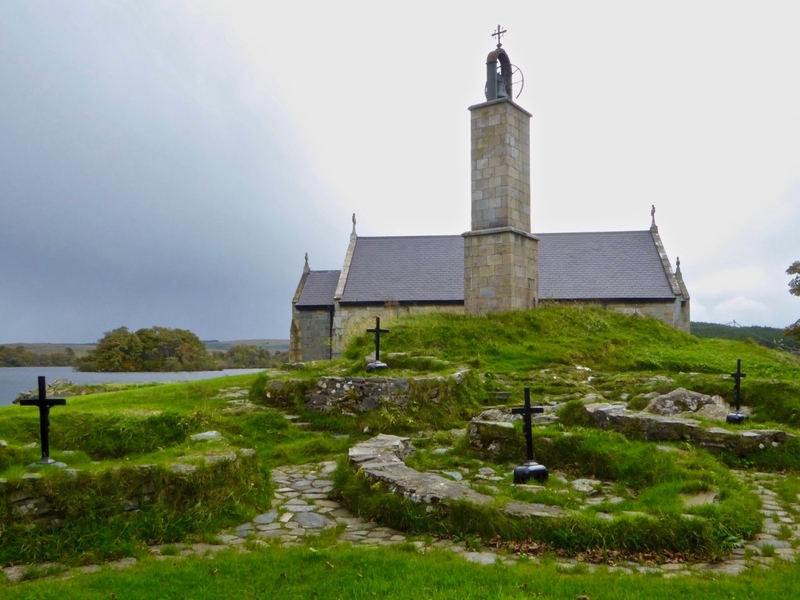 Here’s an example… the very first post we published after we moved to Nead an Iolair a whole lot of years ago mentioned a concert we attended in Abbeystrewry Church, Skibbereen which honoured a Rector of that church who was also Professor of Irish in Trinity College Dublin: Canon James Goodman, who lived from 1828 to 1896. 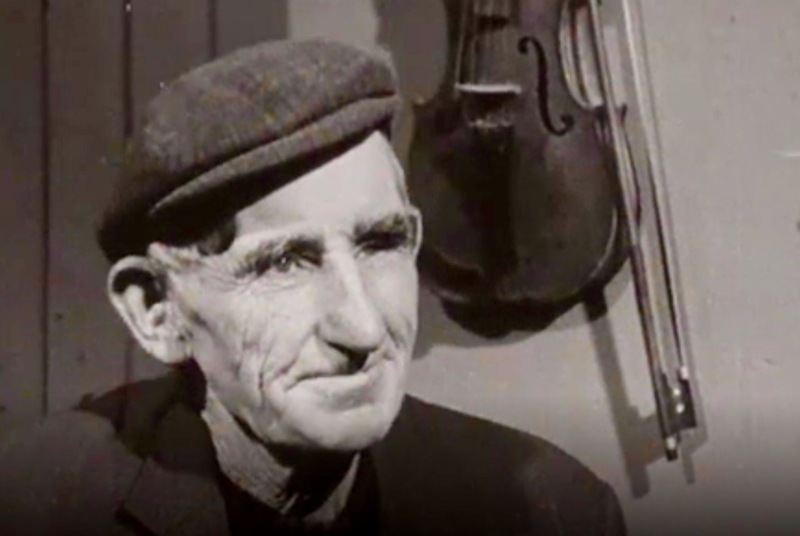 He was also an uilleann piper and collector of traditional music. 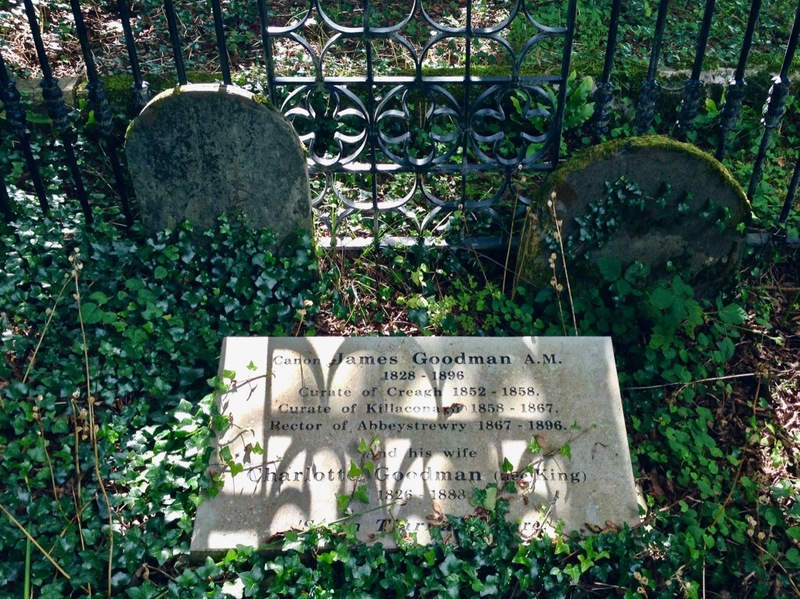 I wrote about him in more detail the following year, Some of you may remember a story I often tell about the Canon’s grave in Creagh Burial Ground, on the way to Baltimore. 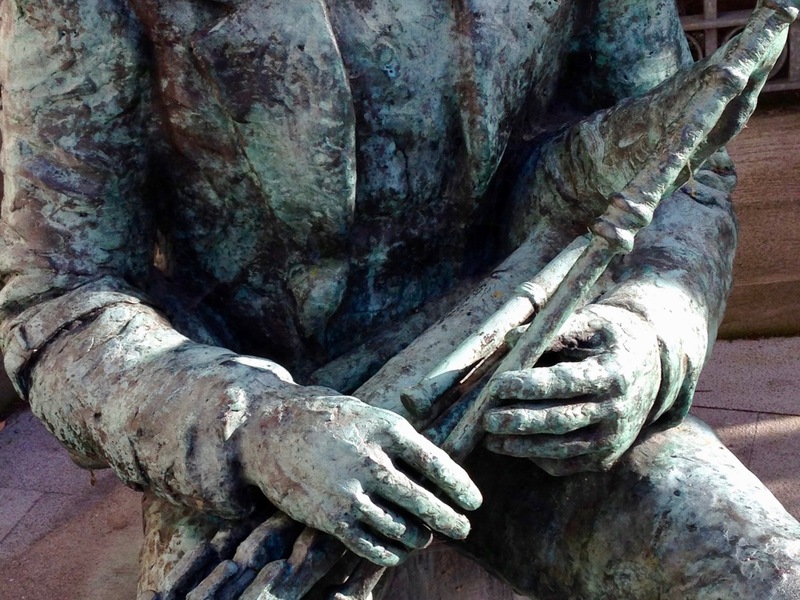 It was his wish that his pipes be buried with him, and so they were. Finola and I would visit the atmospheric site at Creagh and listen out for the haunting tones of the Canon’s pipes playing away there. 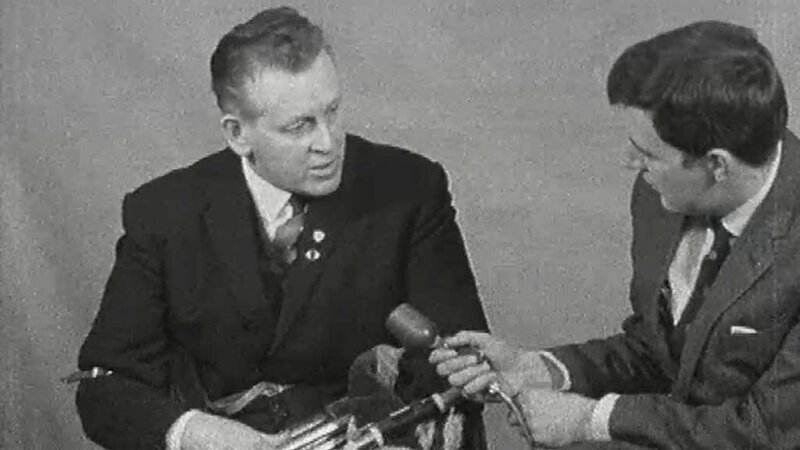 And this piece is of additional interest because it shows Listowel playwright and writer John B Keane visiting Sonny to talk about bodhráns. 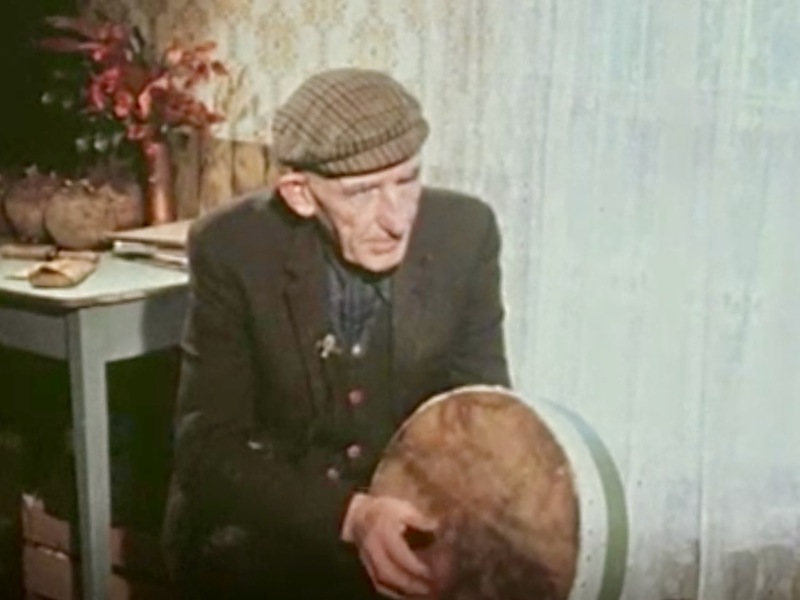 J B Keane wrote The Bodhran Makers, which was published in 1986. The writer died in 2002. 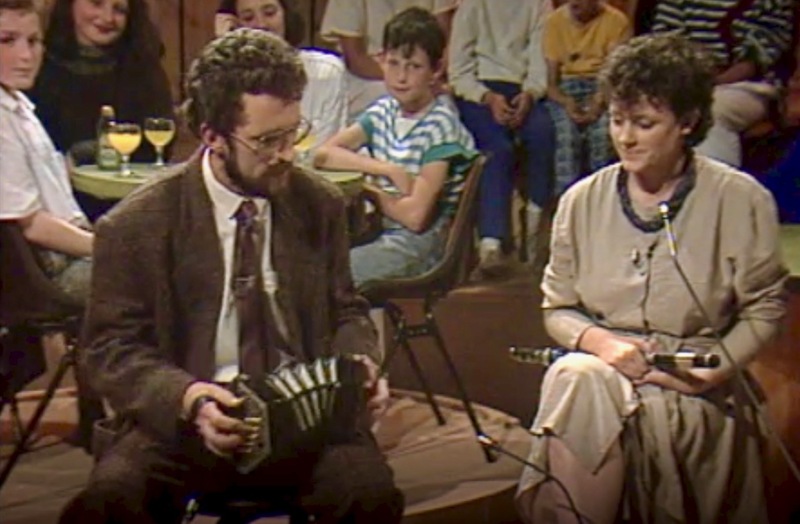 Here’s another RTE piece showing concertina maestro Noel Hill, from Clare. 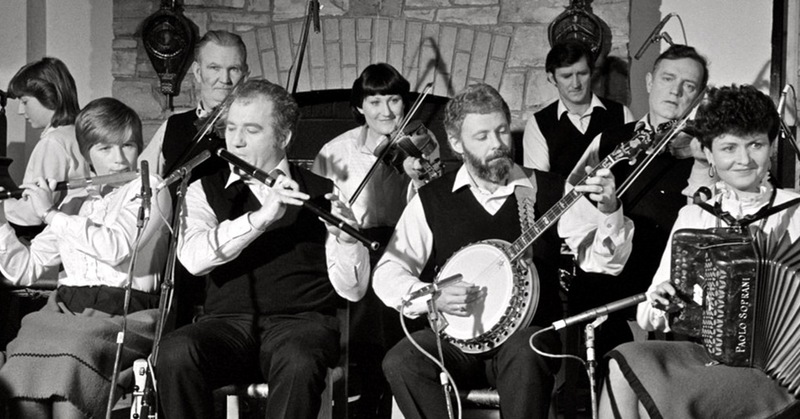 I wrote about that instrument in The Clare Trumpet. 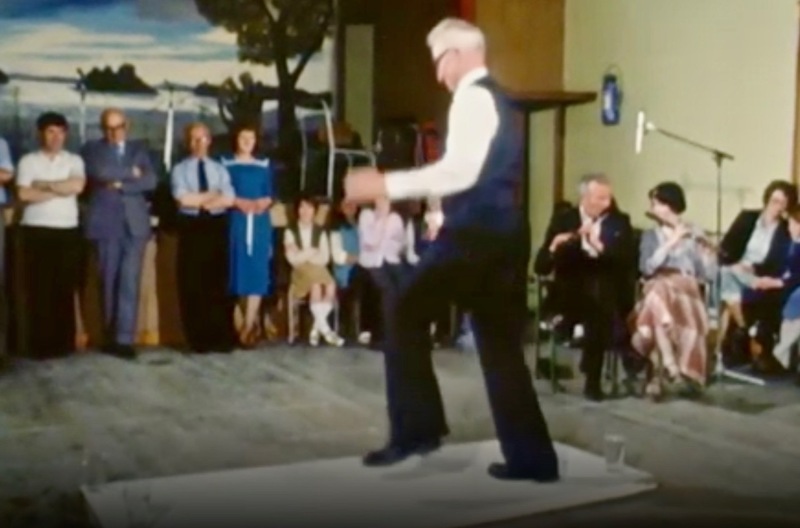 We have never written about traditional Irish dancing – there’s a good subject! A post for another day, perhaps: it’s certainly thriving in Ireland. It enjoyed a great revival of popularity with the River Dance shows, but that was professional and polished (and impressive!) – but I like to see the raw version: people young and old dancing for personal enjoyment and entertainment in their kitchens or at the scoriachts. 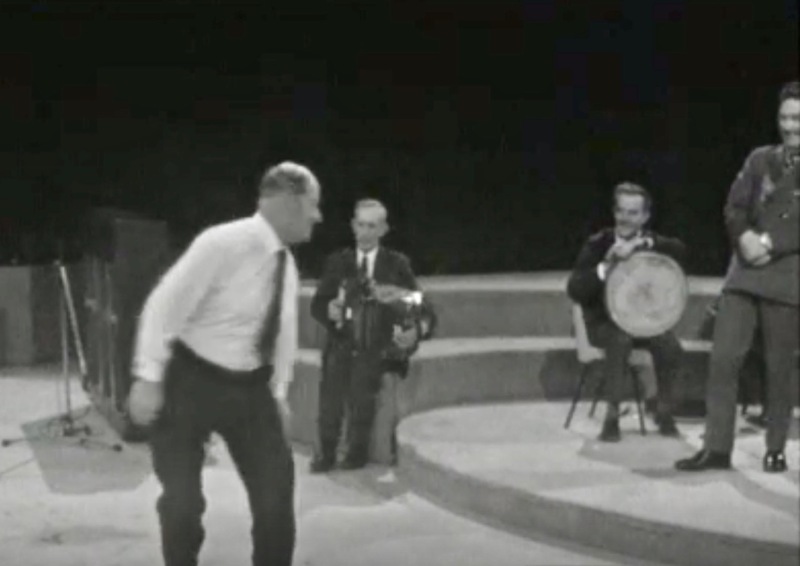 So, to finish for today (although I haven’t even scratched the surface of what’s on offer in the RTE archives), here are two pieces: The Fastest Reel in the West, from 1972, and Door Dancing, from 1981. 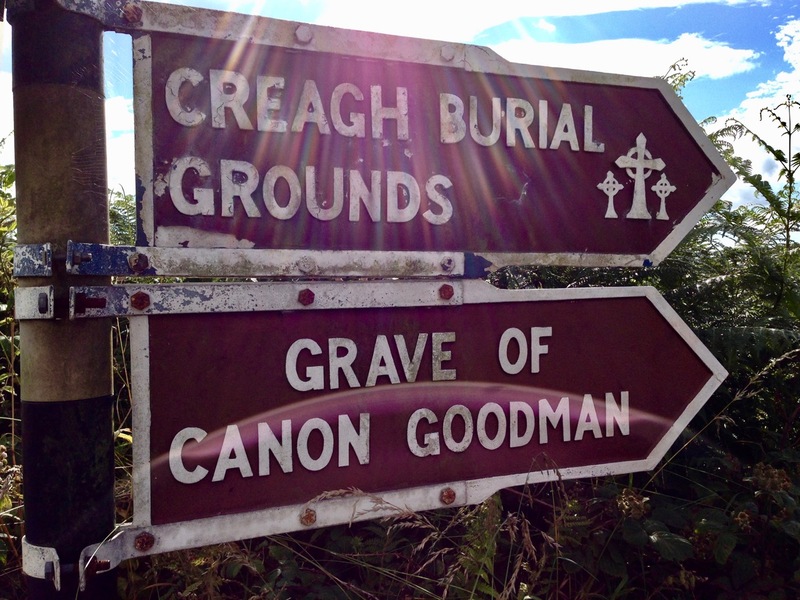 I was excited to be travelling to one of Ireland’s oldest – and most important – pilgrimage sites. 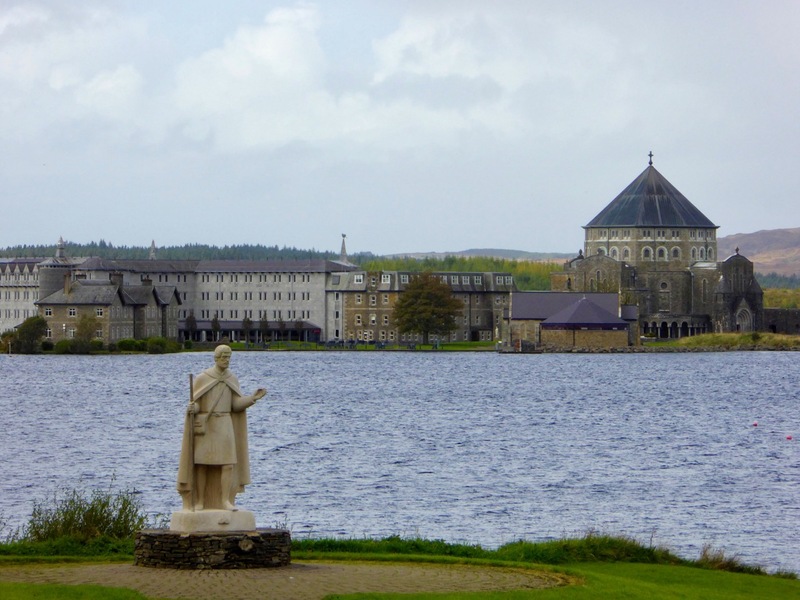 Finola studies stained glass windows and their artists, and she knew that some particularly impressive Harry Clarke windows can be seen in the Basilica on Station Island, Lough Derg, in County Donegal. 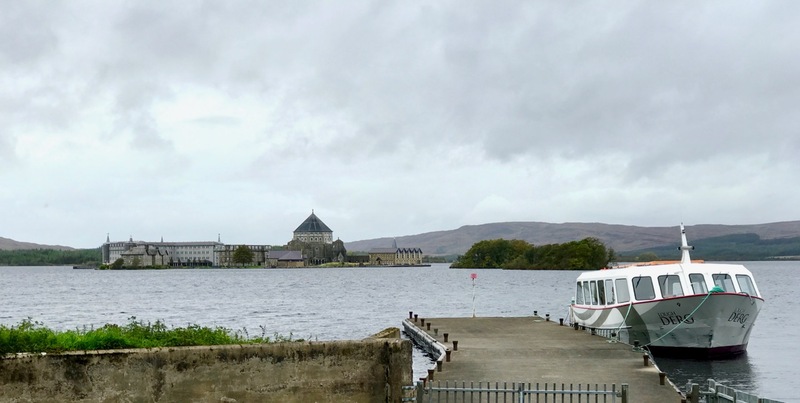 The roof of the Basilica, completed in 1931, towers over the island in the picture above, taken from the quay at Ballymacavany. Finola obtained special permission for us to visit the island to view and photograph the windows, after the main pilgrimage season was over: her account of them will appear in Roaringwater Journal in the near future. 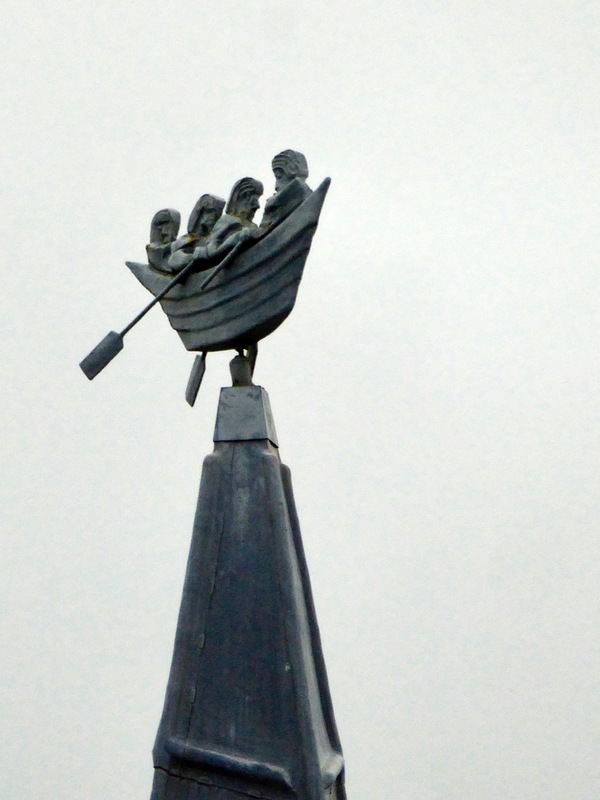 It’s salutary to learn how many people and families we know have taken part in the pilgrimage at Station Island. It’s a particularly austere experience, involving a three day cycle of prayer and liturgies, bare-footed and with very little food or sleep. 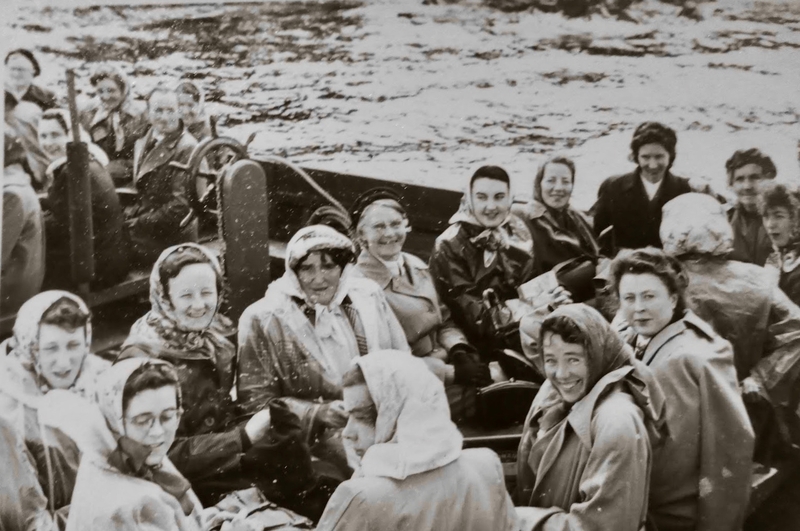 Finola’s father undertook the pilgrimage in the 1950s: the photograph above was taken at around that time, when pilgrims were ferried over in large open boats once rowed by eight oarsmen and subsequently motorised. 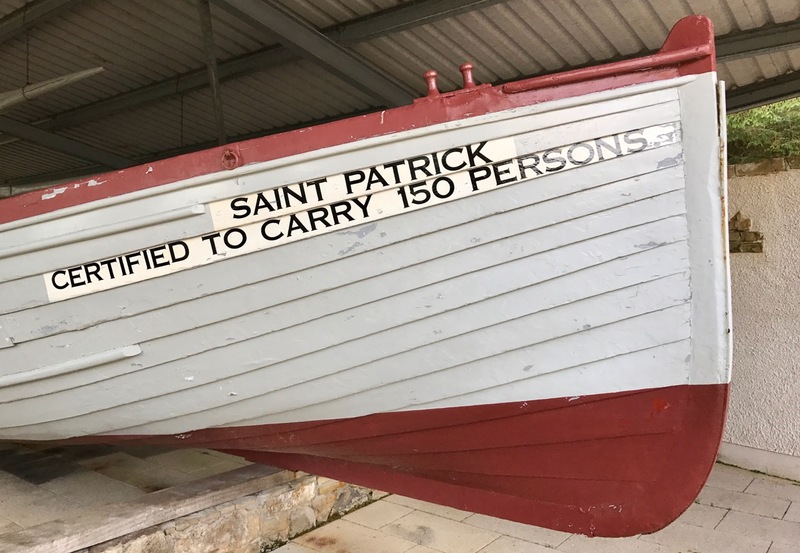 One of these historic boats is kept on display at Ballymacavany (below). Nowadays the journey is made in a modern covered launch, as seen in the header photo. Records of the number of pilgrims who travelled to Station Island have only existed in comparatively recent times. The peak seems to have been just prior to the famine around 1846, when over 30,000 went there in one season. The drawing above is by William Frederick Wakeman, who was a draughtsman with the Ordnance Survey of Ireland, and was probably made at that time. Through the twentieth century numbers seldom fell below 10,000 pilgrims each season, but in many years was considerably more. This news item from the RTE Archives demonstrates the strength of the pilgrimage in the year 2000. The entrance to this cave is on Station Island, and is the reason for the enduring popularity of the pilgrimage, which has persisted there for over 1500 years. In the medieval illustrations above, the gateway into Purgatory can be seen on the right, while on the left is a knight – Owein – whose terrifying adventures in the cave in medieval times have been written about in many languages: a summary can be found here. 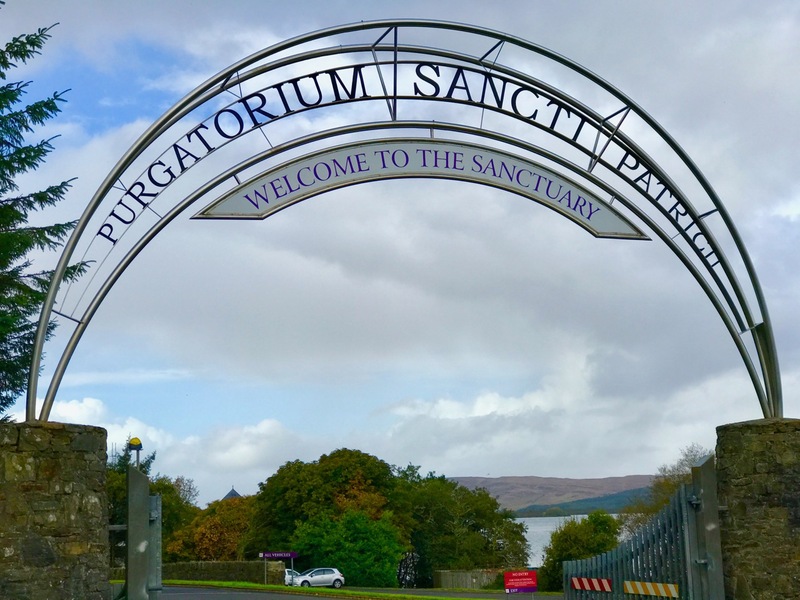 St Patrick’s Purgatory: the name is over the entrance at the reception centre at Ballymacavany, the point of departure for Station Island. 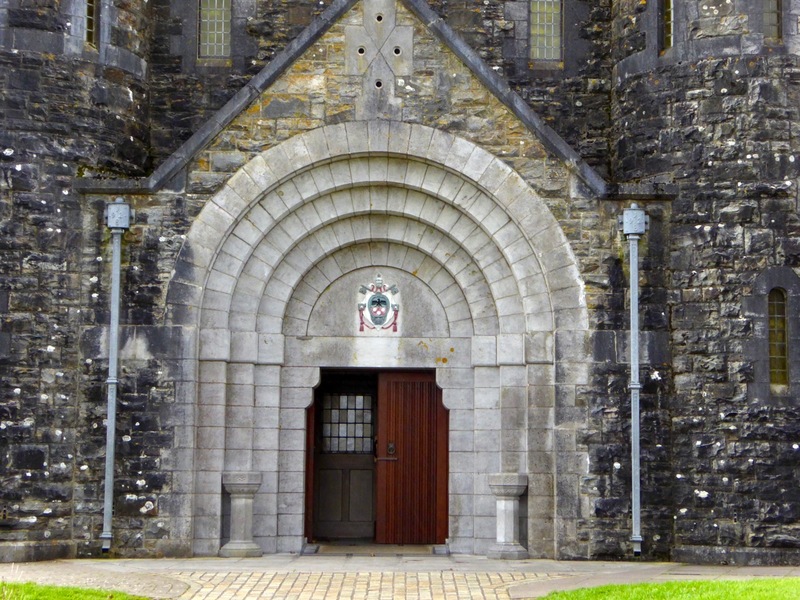 The cave which marks the entrance into Purgatory was permanently sealed up in October 1632 when the pilgrimage was suppressed by order of the Privy Council for Ireland; in the same year the Anglican Bishop of Clogher, James Spottiswoode, personally supervised the destruction of everything on the island. Later, in 1704, an Act of Parliament imposed a fine of 10 shillings or a public whipping …as a penalty for going to such places of pilgrimage… The site of the cave entrance lies under the bell tower, seen above. In front are the penitential beds where pilgrims perform rounds to this day. It is thought that these formations are the remains of monks’ cells or ‘beehive huts’. On the left is a map of Station Island by Thomas Carve, dated 1666. The words Caverna Purgatory, centre left, show the site of the cave entrance. In spite of the efforts of the Penal Laws to suppress the observances, pilgrimages have continued unabated. Above right is a photograph from the Lawrence Collection, dated 1903, showing pilgrims about to embark for the island. 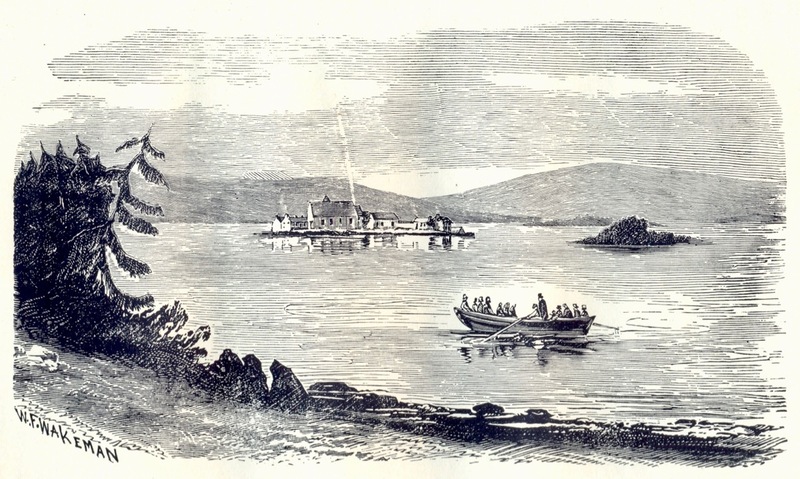 A young St Patrick portrayed as a pilgrim stands in front of the island: the Basilica is on the right. This view indicates the huge development of the island since its complete destruction in the 18th century and shows the facilities provided for the many thousands who have come here over the generations. The Basilica is the focus of the pilgrimages today: it was formally consecrated in 1931. The entrance door is a modern interpretation of Romanesque architecture, while the tabernacle is an impressive example of fine bronze work. ‘s nach faghaim déar thar mo rosg. As the commonplace of a flamboyant bard. But deeply it has kept an ancient vow. But fol de rol de rolly O.
although it is the night. Finally, here’s a contemporary journalist’s view, well worth the read!